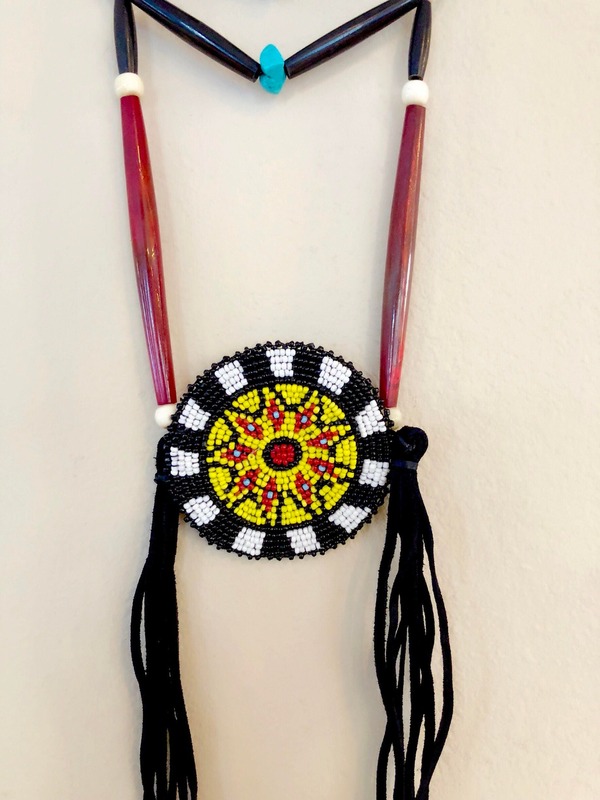 Authentic Native American beaded medallion necklace. 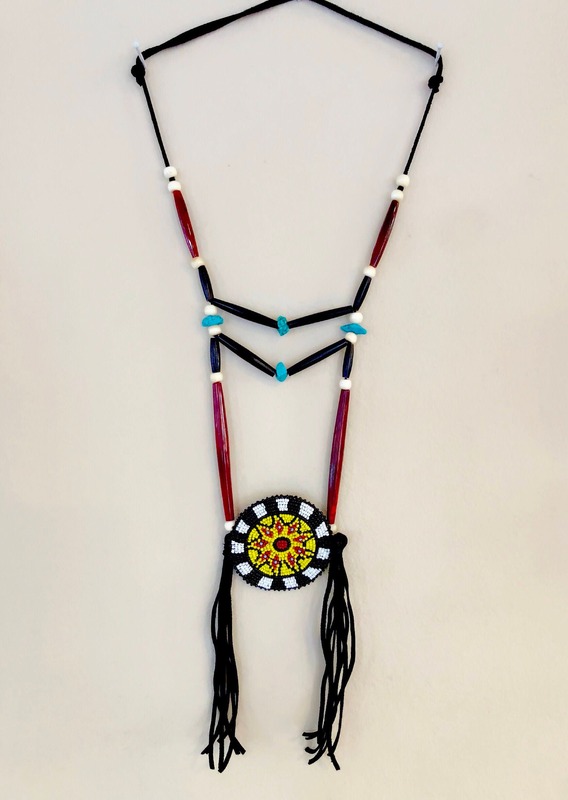 This necklace is a breastplate style made with buffalo horn hair pipe beads, buffalo bone beads, glass beadwork, and leather. 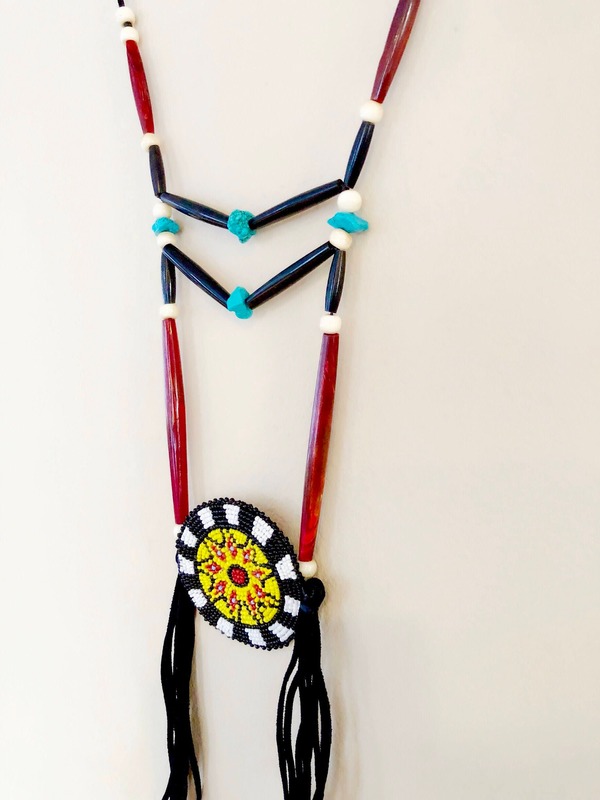 Length of necklace is adjustable with slide knots.